Good morning friends! I hope all of you had a wonderful Easter weekend and are going into this week feeling refreshed and ready to tackle whatever's coming at you this week! 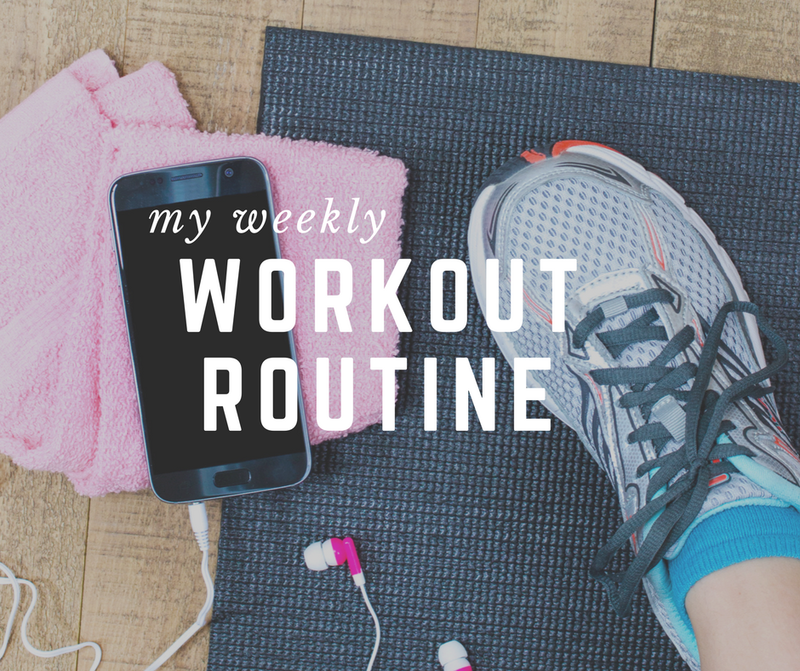 I thought it might be fun today to talk about my workout routine. I'm finally feeling like I'm comfortable at the gym and like I have a good routine down when it comes to fitness. Nothing crazy, but I actually look forward to working out and I'm so happy that I've found something that works for me! I used to be such a bum on weekends - sleeping late, eating like poo, and not doing much of anything. These days, I like to be a little more active just to make the most of my time. Don't get me wrong, I love lazy days as much as anyone, but I also love being able to take a walk on the lake with my family or go for a run without having to be anywhere at any specific time. Plus, I find if I do something a little more active than I'll also eat better and be more productive when it comes to getting ready for the week ahead. All in all, I just try to get moving for at least 30 minutes a day and switch up my routine from cardio, to HIIT, to weights. As long as you're doing something, you're making progress. When I started going to the gym I was so hard on myself with seeing progress and constantly compared myself to others. Now I just try to enjoy it and realize that every little bit is doing something good for my body, which is strong and healthy and can only get better, so if you're feeling discouraged, try and look at it that way!I hope sharing my routine helps you make one of your own!